Slaty-backed Gull schistisagus adult, January 21 2011, Choshi, Japan. Picture: Stuart Price. 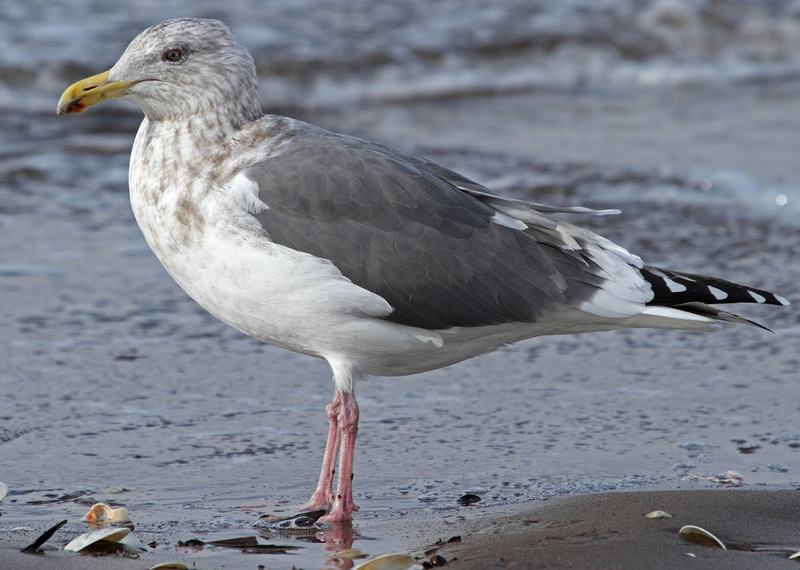 Upperpart grey tone as in Lesser Black-backed Gull, with speckled iris and streaking concentrated in hindneck. Medium-sized mirrors on outer two primaries, normally with full sub-terminal bands on both P9 and P10. Note very broad white tips of tertials, which continues on the tips of the secondaries.